"On the inside the rules are brutal and the stakes are high." 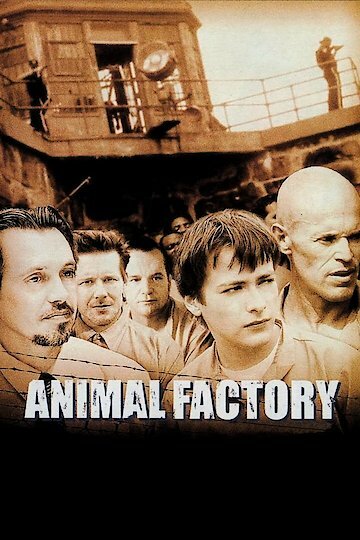 Animal Factory is a prison drama featuring a number of high profile American actors, including Willem Dafoe and Edward Furlong; the movie is also notable as being directed by Steve Buscemi. The movie takes place over the first 90 days of the incarceration of small time drug dealer Ron Decker. After being sentenced to five years in jail for dealing drugs, Ron Decker arrives in prison and is taken under the wing of Earl Copen who has spent many years in the jail. The two convicts discuss Decker's sentence and realize the younger man can have his sentence reduced during the first 90 days of his incarceration. The plan hatched by the pair includes an escape by Copen after Decker has been released with the help of false reports, which will be prepared by Copen in his role as an assistant administrator. After a fight, Decker stabs another inmate and all hope of his early release seems lost, until he and Copen have the injured inmate killed to stop any further prosecution taking place. During their time in jail another plot to escape is hatched by the pair. Animal Factory is currently available to watch and stream, download, buy on demand at Amazon Prime, Amazon, Google Play, iTunes, YouTube VOD online.